Welcome to Vision Center of Lake Norman! 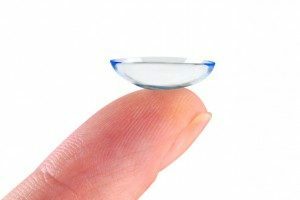 Whether you are 5 years old or 95 years old, at Vision Center of Lake Norman, our practice strives to make sure that every patient has an opportunity to wear contact lenses. If you are suffering from glaucoma or another eye disease, are interested in being fitted for contact lenses, or are simply looking to renew the prescription in your eyeglasses, we are here to help. We are confident that you will find the perfect eyewear products for your needs at our Mooresville, NC office. Glasses can say a lot about your personality and your personal style. At Vision Center of Lake Norman, our family eye doctor offers eye exams for patients of all ages. Contact us today to schedule your appointment with our optometrist. Visit us today for an eye exam, glasses or contact lenses, or the treatment of vision-related problems, such as dry eyes, macular degeneration, glaucoma, or cataracts. Welcome to Vision Center of Lake Norman, Mooresville’s premier eye care facility. At our office, Dr. Chuck Monson and our friendly staff provide superior and comprehensive eye care to patients of all ages. We offer family eye exams, contact lens fittings, LASIK consultations, and designer eyewear. We also treat a wide range of conditions, such as glaucoma and dry eyes, and we offer diabetic eye exams. Your vision has a direct impact on your qualify of life, and only you can ensure that your eyes are in good health by making annual eye exams a priority. 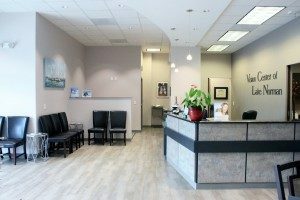 Our state-of-the-art equipment, professional & comprehensive eye exams, and superior customer service are among the best you will find in the Lake Norman area. Remember, early detection and treatment of eye disease is critical for proper long-term vision and health. 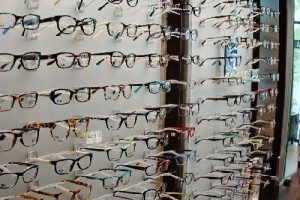 At Vision Center of Lake Norman, we want to make sure that we find the glasses, contact lenses, and other eye care products that will work best for your eyes and your lifestyle. For this reason, whether you are being fitted for glasses or contacts, we will take the time to introduce you to all of your options and help you find the best solution. Our office is currently accepting new patients. We look forward to providing you and your family with the quality eye care you deserve. Schedule an eye exam today by calling our office, and make sure that you download, complete, and bring our new patient forms with you to your first appointment.